This topic describes how to debug Native Client modules within TV application projects. You can debug Native Client (NaCl) modules on the emulator or a Samsung TV, within the context of the Web application. For information on debugging your application's Web components, see TV Simulator, TV Emulator, and TV Device. In the "Project Explorer" view, right-click the TV application project and select "Debug As > NaCl Module in Tizen Web Application". If your TV application has multiple NaCl modules, select the module you want to debug. You can debug only 1 NaCl module at a time. 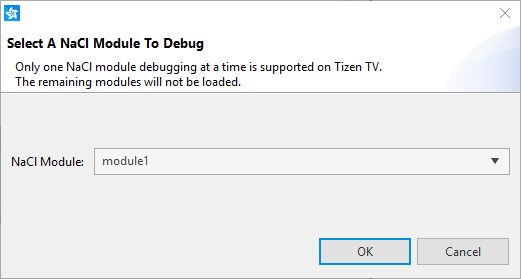 The Tizen Studio switches to the "Debug" perspective and code execution is stopped at the entry point, if you have defined one. 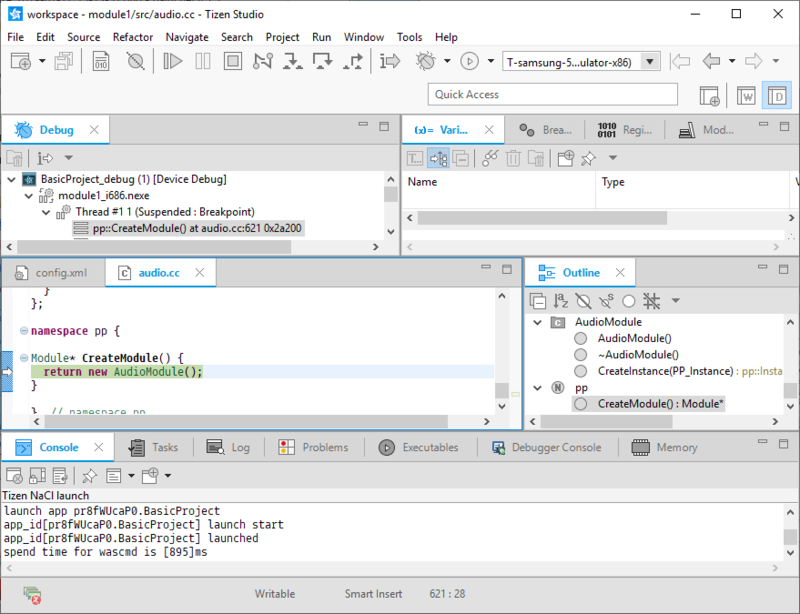 You can also launch a NaCl module for debugging directly from its project. For more information, see Debugging NaCl Projects.